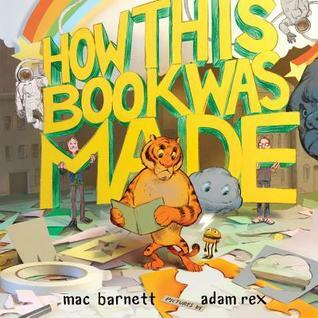 Bedtime Stories: How This Book Was Made by Mac Barnett and Adam Rex. 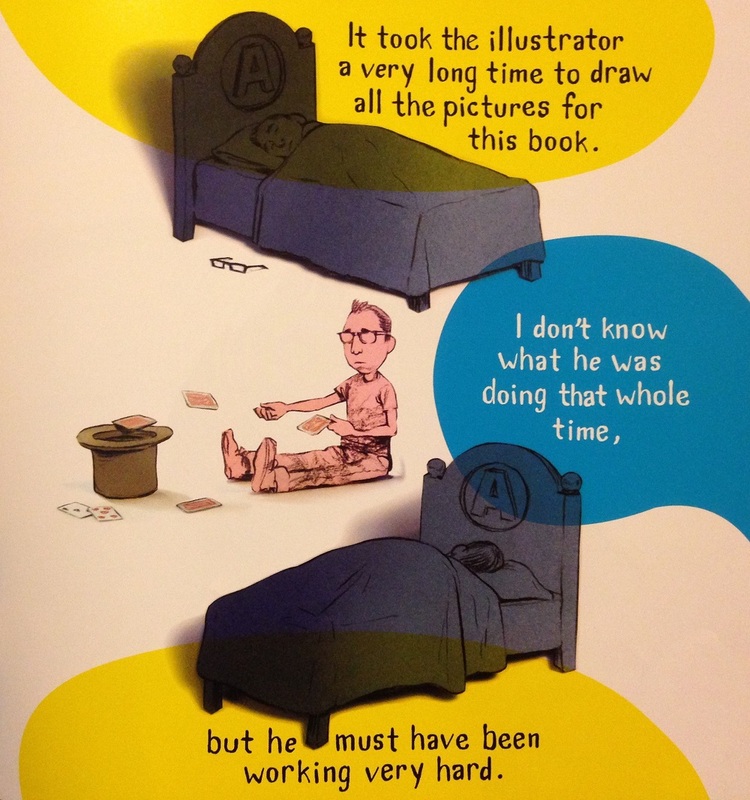 So you think you know how a picture book comes into being? You may think you know, but you don’t. I don’t think you took into account the pirates, or the arm-wrestling tigers. Or the roaring fires of discarded drafts. No, you don’t know how this book was made at all. 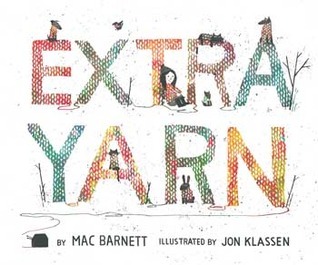 From the mind and hands of Adam Rex and Mac Barnett comes another clever and hilarious picture book. 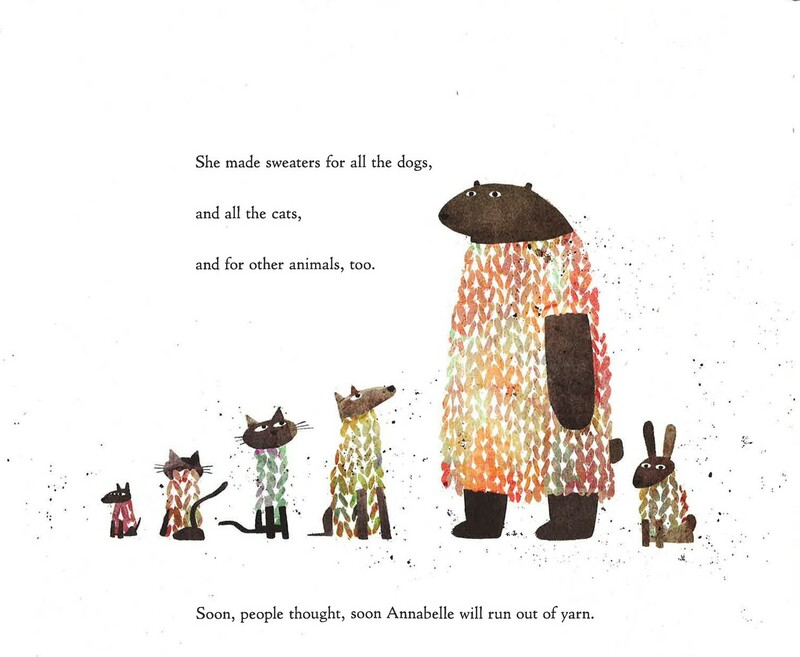 Mac Barnett writes with a number of talented illustrators but his work with Adam Rex is my favorite. I see this book as a companion piece to Barnett/Rex’s 2012 picture book Chloe and the Lion which is another behind-the-scenes peek at the making of a picture book. Where Chloe looked at the collaboration between author and illustrator, How This Book Was Made looks at the process from inception to publication. 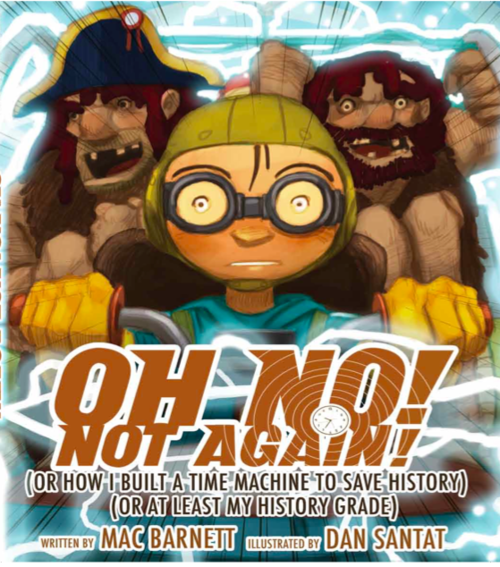 In some ways, it really does explain how this book was probably made, though of course embellished and changed to make it interesting for children. When Mac Barnett tells you his editor sent him back the first 20 drafts of the story, you can’t help but believe that this was indeed the case. But whether or not he burned the other drafts to scare away the tiger bent on revenge cannot be confirmed or denied. To take Mac’s word on it, the process of getting the book from his original idea to becoming the copy in your hands is an incredible process! Adam Rex makes a valuable contribution, turning simple statements like “I found a quiet place to write” and placing the author at the top of a ladder on the top of a desolate mountain. Although Mac insists “it took the illustrator took a VERY long time to draw all the pictures” it was definitely worth waiting for his fantastic illustrations. 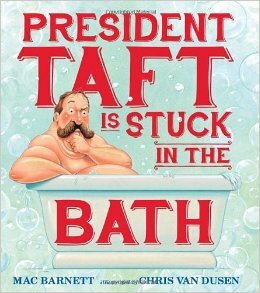 President Taft is Stuck in the Bath by Mac Barnett. Illustrated by Chris Van Dusen. Boy, has Mac Barnett been on a roll lately! In fact, this is the second book of his I have reviewed in as many weeks. Based on a popular and neither confirmed nor unconfirmed legend, this book, as you may have guessed, is about President William Howard Taft who famously, or perhaps didn’t, got stuck in his bathtub. Most of the story is about his attempts to extricate him from this awkward situation. Call in the Secretary of War! What will he advise? (Dynamite!) How about the Secretary of the Interior? (The answer is inside yourself.) It’s a fairly simple and straightforward story. 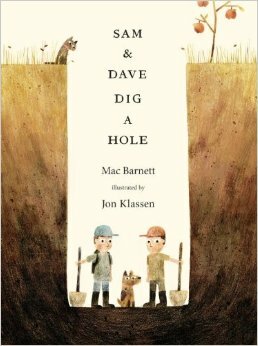 I can hardly blame Mac Barnett for wanting to write about it. It’s an interesting story and sadly for Taft, about the only thing anyone remembers about him. That’s the other thing I like about President Taft is Stuck in the Bath: they address that by first introducing Taft with some of the important contributions he made as president and later by his advisers assuring him: don’t worry. No one will remember this incident in 100 years. Which is of course precisely what most people remember about him now. Poor Taft. Did you know he was the only president to also serve as Supreme Court Chief Justice? Well now you do. If you are sensitive to illustrations of naked people with strategically placed bubbles this book may not be for you. But as for my kid, he got a kick out of it.